Music and storytelling! We haven't done one of these events in a long time... almost a year actually! Grab up your tickets before they are gone! Are you curious about where the Spoon Lady came from? Join a discussion about the life of the modern hobo, and living between the lines of society. Music and stories, followed by a Q & A at the end. Join us for a special evening of unique entertainment. Some folks hear a player of the spoons and think it's just a novelty .....make no mistake. Abby The Spoon Lady is a talented musician in every sense of the word. She knows exactly what she's doing and what it means to be a professional musician. She works hard at her chosen profession and the years of hard work are paying off. She's garnered recognition from some pretty heavy hitters in the music world and her videos on YouTube are certainly in the "Viral" category. In addition to playing the spoons, Abby is a skilled storyteller and tonight's performance will include Abby's stories of her life, of busking, of riding freight trains, and more. DON"T MISS THIS UNIQUE EVENT. 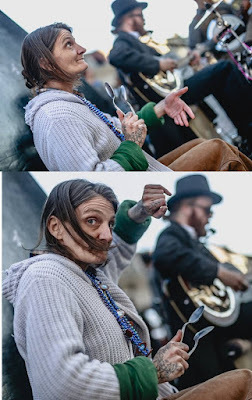 Abby the Spoon Lady is one of very few professional spoon players in the United States and has been a professional street performer for over a decade. She has studied American folk percussion, music, and folklore while traveling the United States by foot and rail. Although her start to music was rough, she is now an internationally known street performer. Today she plays with some of Asheville’s finest local and visiting performers at festivals, within venues, and right on the sidewalk. 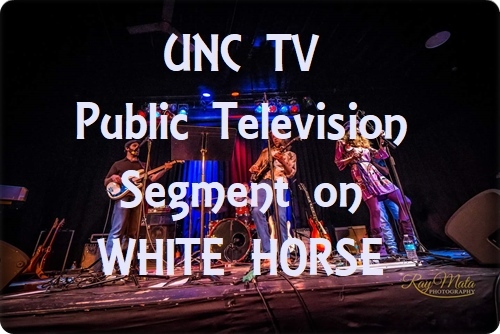 Along with finding her within various horror and short films, you can watch interviews with Abby in such documentaries as Nashville 2012, and also Buskin’ Blues, about the world-class street performing scene in Asheville, NC. 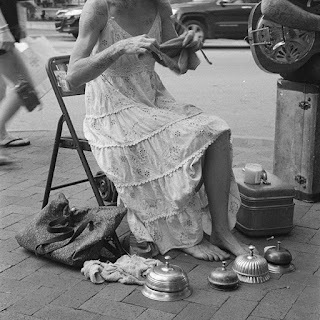 She is currently President of theAsheville Buskers Collective. Abby spent most of her 20s traveling the United States by hitchhiking, foot, & rail. After spending time state to state standing in line at labor pools and employment agencies, she finally learned that music was the most fitting way to fund herself across the country. She learned to play the spoons, eventually, the “Spoon Lady” emerged. Becoming very quickly enamored by the hobo lifestyle, she became very interested in its history. However difficult to carry the medium in a backpack, she spent her hours collecting songs and stories, lyrics and variations. She recorded on whatever she could get her hands on. Whether it was pen and paper or old cameras, she used whatever was affordable. Humorous, enlightening, and telling, these stories painted a clear picture of America from its underbelly. Abby has been featured in countless news articles, magazine articles, videos and such. Here's an excerpt from one of those articles. "If there was ever a busker in downtown Asheville that stopped you dead in your tracks and made you think "Am I really witnessing what I think I am?," it would have to be Abby "The Spoon Lady" Roach. The immediate conjuring of video images and lyrics from the song "Spoonman" by Soundgarden are impossible to ignore. 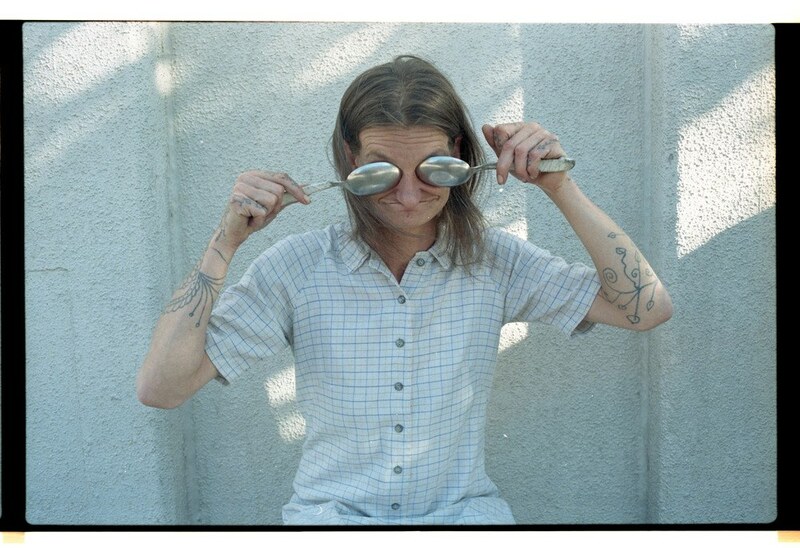 But was Spoonman even real? And if so, is it even possible for someone to really be playing the spoons like that, right here, right now, in the streets of downtown Asheville? You suddenly notice her counterpart, Chris Rodriguez, gracefully strumming a guitar, singing, playing a harmonica and tapping two foot pedals all at the same time, like it's easy, and you quickly realize you are witnessing much more than just two people trying to make a dollar to drop into their bucket. 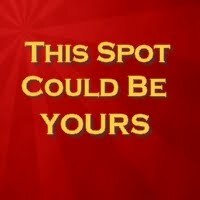 You are witnessing something truly special and unique, perhaps something you may never see again. For tourists and locals alike, it might be easy to assume these are just "mountain folk" who somehow learned how to play music on the front porch of their cabin and found their way into downtown Asheville. 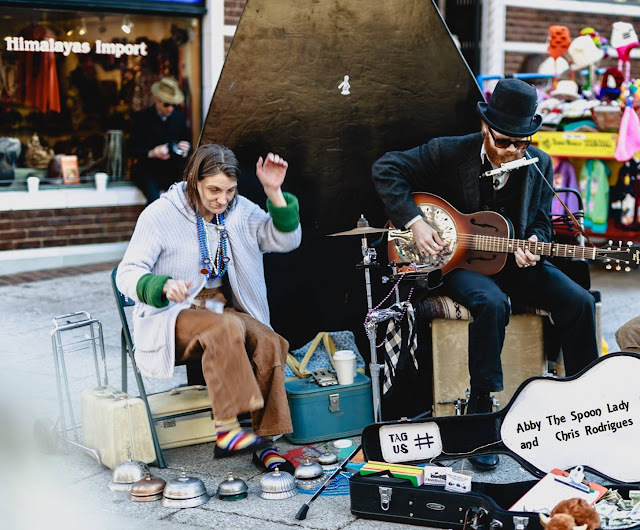 What might surprise you, however, is that Abby the Spoon Lady is a full-time musician who has traveled the contiguous 48 states, recorded albums and been recruited by "America's Got Talent." When asked how that one burning question that anyone who has ever seen her perform wants to know, she gives you an answer you might not expect, but also one that only the Spoon Lady could give. 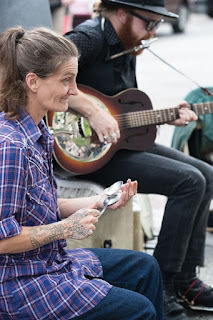 "I've been busking for about 10 years, and I started while I was riding freight trains. Yeah ... I was one of those dirty kids with a dog and a pack at one point. I needed a way to fund myself across the country, and spoons was it. "At first it was difficult. No one took me seriously. 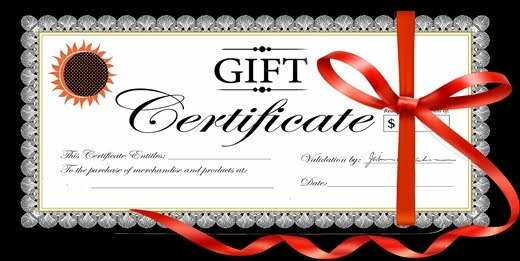 Most of the money I received at the beginning was 'sympathy money,' I believe. Eventually I started hearing, 'Oh, that's neat' and 'How'd she do that?' and then the tour bus in Nashville started referring to me as the 'Spoon Lady' ... and so folks started uploading me as such ... and so now I'm the Spoon Lady ... and one of less than five people that can do what I do in the world." Asked about the spoons she plays, she says they are rare "antique 100 percent steel spoons that are discontinued. They are regular household serving spoons. The manufacturer is out of business, and so I've been looking for an American company that sells something similar ... but no avail. I've also looked into finding someone to make them for me, but it would be too expensive ... as working with steel usually is. Until then, I'll keep searching for these. I have backups."